Directed the creation and development of this brand, positioned around the concept of Human Code and expressed through a wordmark conveying the endless possibilities that exist when technology reacts to the human variable. To fulfill its mission of “enabling meaningful connections between people,” designed a dynamic identity that can reflect its various audiences. Contracted by Lab Zero for creative direction. Team included Dean Baker, Josh Hittleman, Ned Holets, Brian Johnson, Jim Ochsenreiter, Nicole Skillern, Tracey Thompson, and Matt Wilson, among others. 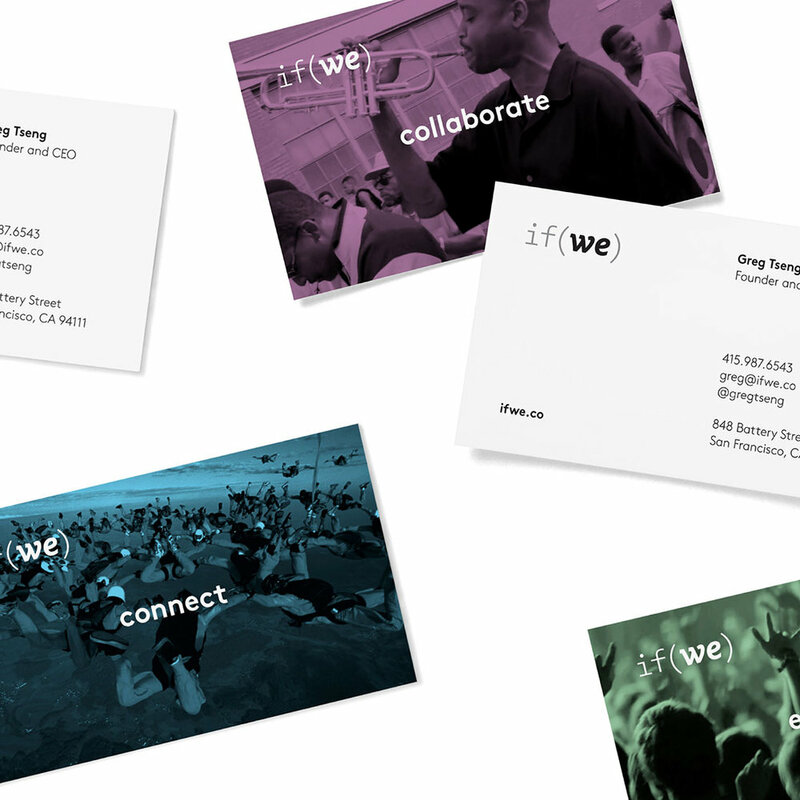 Participated in the creative direction of the if(we) website, helping convey the brand story in its fullest potential through this medium, while providing guidance so the identity was properly expressed. Directed the creation and development of video, and selection of hero images.